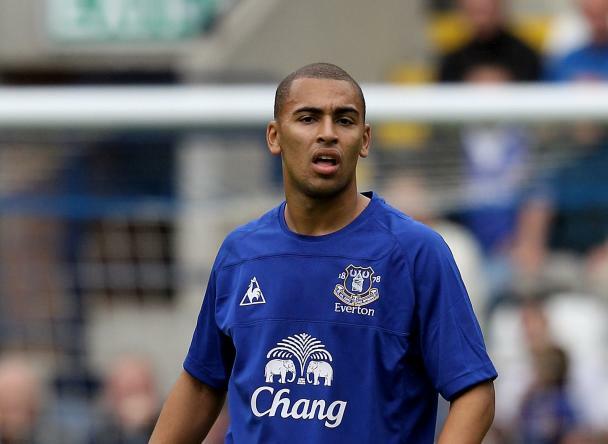 Burnley and Celtic have entered the race to sign Everton striker James Vaughan. The 22-year-old has just returned to Goodison Park after spending four months on loan at Crystal Palace but the Championship strugglers have been priced out of a permanent move. The forward become the Premier League's youngest goalscorer when he opened his account on his Everton debut, in a 4-0 win over Crystal Palace in 2005, but he has failed to nail down a regular place under David Moyes. Celtic would have no trouble matching the forward's £2m valuation but the youngster could prefer to stay in England and link up with Burnley's new manager Eddie Howe as he prepares to rejuvenate his side as they bid for a place in the Championship play-offs.